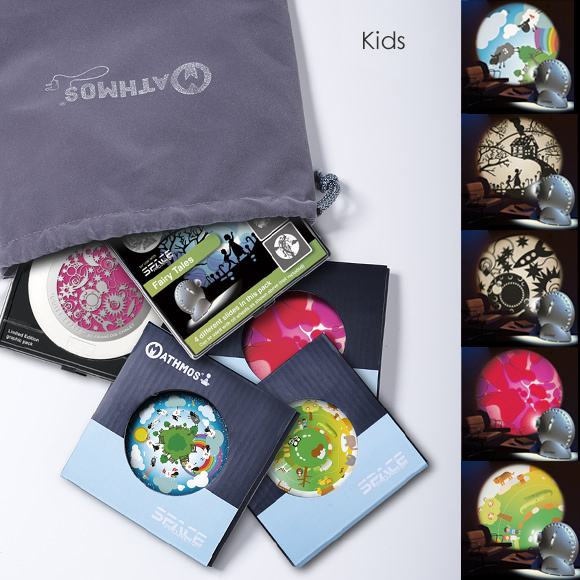 Packs of effects for Space Projector complete with a storage bag. Save money by buying extra effects in packs. 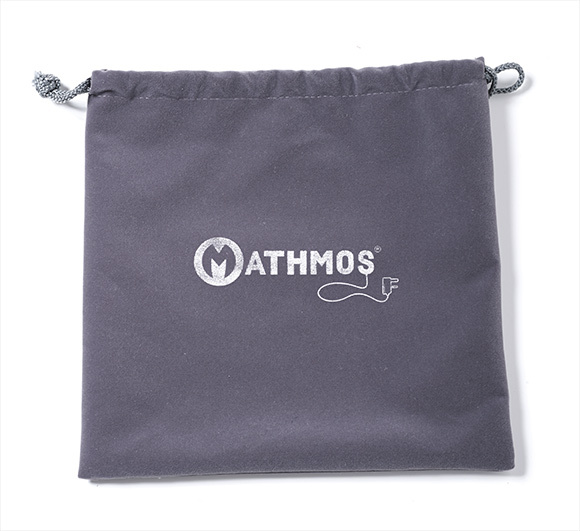 Each pack comes with a free Mathmos collectors bag in grey velvet. 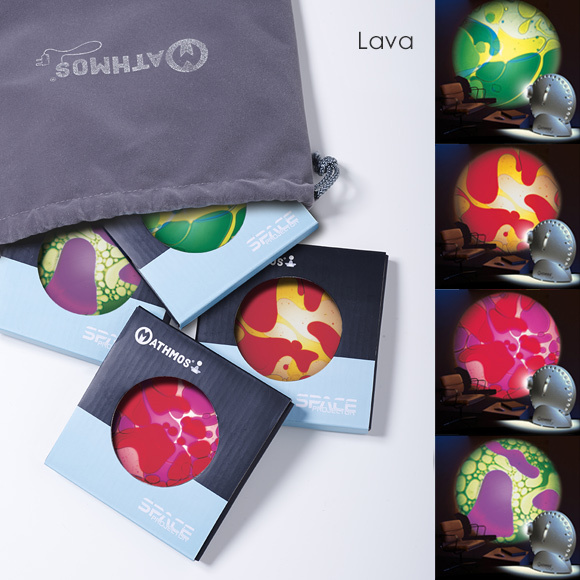 Chose from 3 themes; Nature, Kids or Lava lamp. 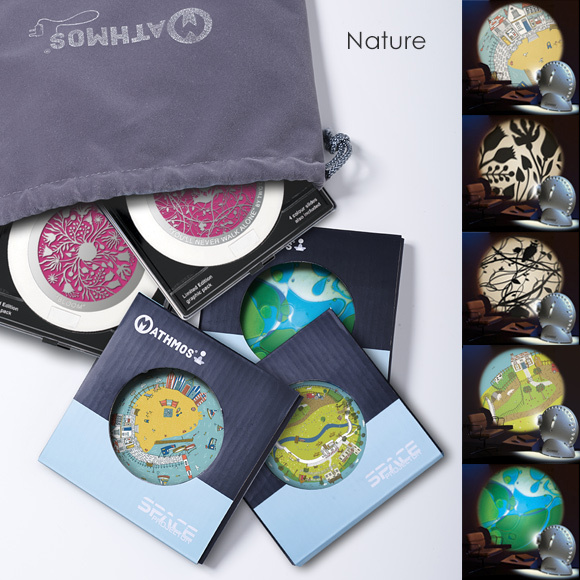 Space projector effect packs come within a special Mathmos collectors bag in grey. 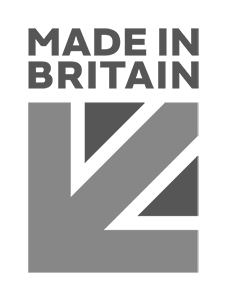 For more information on the individual wheels and packs within please click here and visit their individual pages.